The process is fairly straightforward, even if it does entail the inevitable bureaucracy and legal processes involved in exporting and importing. Once you have decided to relocate then it’s a case of first obtaining some quotes from shipping companies that are used to dealing with North Cyprus. There are some good ways of finding some reliable and reputable ones by either talking to others who have experienced the process already, or by checking on one of the forums where people share their recommendations for companies and individuals in business in North Cyprus. This site is under construction at the time of writing, but don’t let that deter you – they respond via email very quickly! First things first, a representative from a shipping company will visit your home and will write a list of the items that you wish to ship. They will then come back with a quotation usually within 48 hours, and it’s then up to you to proceed or not. Containers usually come in either 20ft or 40ft options, but if you only have a small amount to move then you can usually share with others in the same situation, so quotes will advise you of your needs in that department. Be careful to revisit the list made by the company to double check that all items are accounted and quoted for and that all cargo insurances are quoted too. Most shipping companies also give you the option of packing items for you, or you may choose to do this job yourself, although for a little extra it would seem sensible to let them do it for you! You can also have the option of a door to door service, or even a door to dock service, giving you the option of organising your own transport on arrival to North Cyprus – again we know which one we would choose and it would not be the door to dock only option – too much hassle! Once a shipping company is chosen, your schedule will dictate when packing and taking away of your goods will be. Often you will want to arrive in North Cyprus before your goods do, and shipments should take no longer than 3-4 weeks to arrive, but always check when obtaining a quotation of estimated shipment time. Given that all of this went smoothly, and you are now in North Cyprus, then the final part of the process will kick in. Your shipping company will be in contact with one of the shipping agents based in Famagusta, and once your container is due to arrive the agent will call you to inform you. You will be advised as to what is needed at this point, and this will usually be a copy of your container list, a letter from a notary (notar) or local village muhtar confirming your address here, (you will need a property contract or rental agreement for this), and also an ‘in and out’ paper from the main police station – the latter just providing details of your trips in and out of North Cyprus to date. For these papers you will need government stamps which are used for everything official here! You can get them at your local post office in North Cyprus or sometimes some mini-markets sell them too. Make sure you have plenty – around 20-25ytl in various denominations – don’t worry if you have some left over as they always come in handy! Once you have these you will be advised to visit the customs office in Lefkoşa where these papers will need to be stamped and authorised. Once done then all the paperwork will need to be taken to your shipping agent based in Famagusta – having said that you can liaise with them to collect from a courier dolmuş, (a transit which can taken packages), to save you the trip. 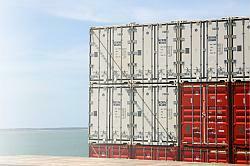 Once the paperwork is received the shipping agent will then go through the process of releasing your container. You will then be called to organise a delivery schedule for your goods – this is when you can start to get excited, well almost! It would be worth noting at this point about tax just to keep you grounded! Any new items imported can be subject to individual import tax, mostly items such as new tvs, computers and the like, so it’s a good idea to bring receipts as proof of the age of larger electrical or furniture items. When the container arrives at your house, customs officials will arrive with it just to make sure it really contains what you say it does and not brand new items on which you would have to pay import duty. If you supply them with a constant stream of coffee and leave them to poke through your possessions they’ll be quite happy! And there you have it, all sounds straightforward doesn’t it! Welcome to North Cyprus! Sir, we will be retiring to TRNC within the next yearend were wondering about bringing our “wine cellar” with us. Is it possible? 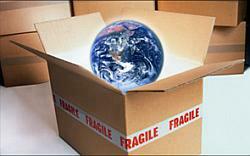 Will the contents be liable to import duty? If so at what rate?